Are you ready to explore Indianapolis? 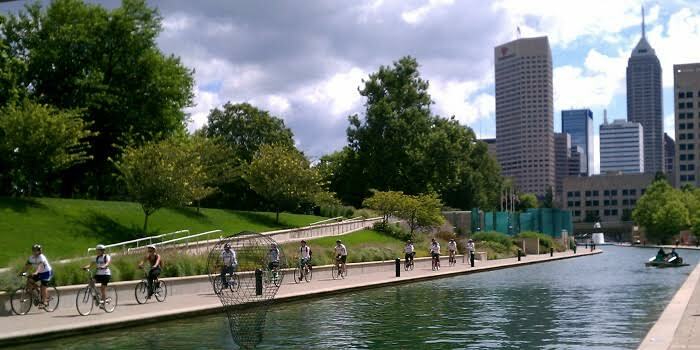 Every Sunday, use Spark Monument Circle as your launching point to experience this beautiful city by bike through a series of self-guided tours developed by ActiveIndy Tours. This 6.5 mile ride sweeps you down the Cultural Trail, through Fletcher Place and Fountain Square, before taking you to the oldest park in the city– Garfield Park! After exploring the park, you’ll be guided through the historic Bates Hendricks neighborhood on your way back to downtown. Check in at the Welcome Trailer to view the route and receive a cue sheet of directions before departing.